Gary Leonard Hammond was born and raised in the small country town of Gruyere in Victoria Australia. He took piano lessons from an early age which were curtailed at thirteen when he had a bike accident. He was in hospital for almost a year and lost a kidney. After his recovery he resumed his piano studies and later began performing in small venues in country Victoria. He also began writing, combining his studies in classical music with his love of folk music. His songs have been recorded by great Australian artists such as Colleen Hewett, Russell Morris and Donna Fisk. Also his free verse and beat poetry has appeared in a number of publications throughout the world. Intensely private and reclusive, Gary has refused all interview requests to discuss his work. 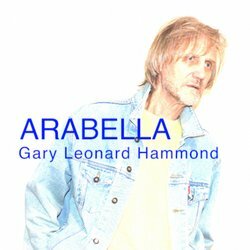 His latest recording is an EP collection of instrumental music entitled "Arabella"
An instrumental blend of folk and classical music with a touch of sixties pop.